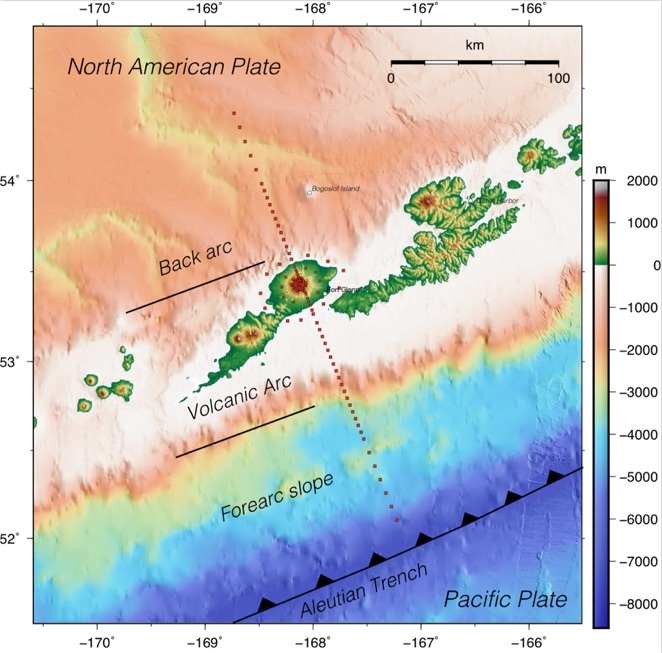 This project uses geophysical techniques to characterize the magmatic system beneath Okmok volcano in the Aleutian island arc. In the summer of 2015, amphibious magnetotelluric (MT) data and onshore passive seismic data were collected to test hypotheses regarding the role of slab fluids in arc melt generation, melt migration within the crust, and the crustal magmatic plumbing and storage system beneath an active caldera. Seismic data consist of 12 broadband 3-component seismometers deployed for 1 year and supplemented by 12 existing permanent stations. 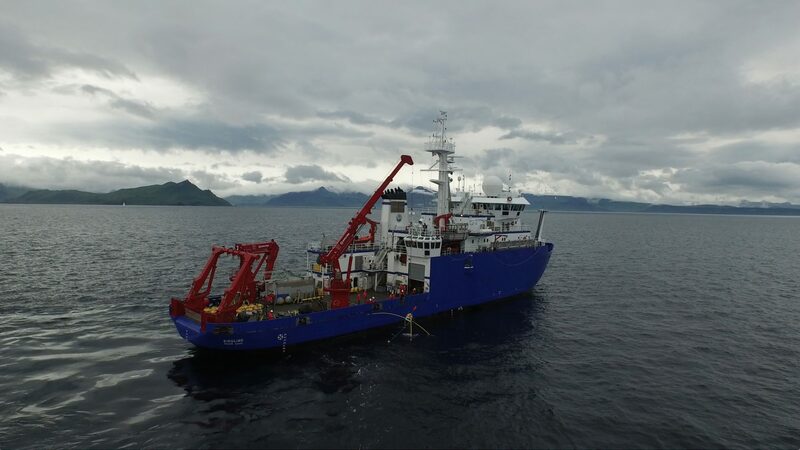 Fifty-four offshore MT stations were collected on a 300 km long transect using broadband ocean-bottom electromagnetic receivers deployed for about four weeks. Thirty-two onshore MT stations were collected in a 3D array using wideband receivers deployed for 1-2 days per site. Analysis of these data include ambient noise and earthquake tomography, surface wave anisotropy, 3D onshore and 2D amphibious MT inversion, joint ambient noise/body-wave and seismic/MT tomography, as well as petrologic modeling using SIGMELTS. These analyses will result in geophysical models of seismic velocity and electrical conductivity that in turn will constrain the distribution of temperature, fluids and melts from the top of the slab through the shallow crust. Collaborative Research: Magnetotelluric and Seismic Investigations of Arc Melt Generation, Deliver and Storage Beneath Okmok Volcano, Proposal Numbers 1456749 and 1456710. For more info and a blog with photos, videos and tales from the fieldwork, see the project website at http://okmok.ucsd.edu. The 10 km wide caldera of Okmok Volcano photographed from a helicopter on a rare sunny day during our survey. Aerial drone footage of a seafloor EM/MT receiver being recovered on the R.V. Sikuliaq with Umnak Island (and a brave sailboat!) in the background. The aerial drone footage at the start of this video shows us deploying EM/MT receivers on the R.V. Thompson off Umnak Island.